You may enter up to five email addresses here, on separate lines. A preview of the email has been included below. Each address will receive a copy of the email as seen in the preview. Having trouble viewing this email? View as a web page. “A CHILD’S HOPE-SPOKANE—yes, that’s it", the staff of Antioch Spokane excitedly exclaimed almost in unison as the name slowly emerged after intense discussion around the conference table. It was time for Antioch Adoptions-Spokane, a branch office of Antioch of Redmond, to become its own local non-profit adoption agency. Much like a child growing up and launching out on its own, A Child's Hope Spokane has become an independent non-profit agency here in Spokane. Having our own identity, a local board, and all our finances available in this area has become a reality. We are thankful to our parent office in Redmond for their part in helping birth Antioch here in Spokane and for helping us to take baby steps to become a thriving agency. We have launched with a new name but with the same mission, purpose and passion to provide loving Christian homes for children in need - at no cost. Since our inception, we have placed 53 children into loving, Christian families. All along we have been an answer to “a child’s hope" and now we carry that banner into the days ahead with great anticipation of what God will do. The Davis Family Adopts Three! Yes, you read it right! We are so proud of Tom and Heather Davis and they are so happy with their growing family. Tom and Heather went from raising their two biological children, to raising their daughter’s best friend, to now raising three little ones! Their two biological daughters, Alanna and Kaytlynn, and their daughter’s best friend, Caitlin, are all now adults but still very much a part of the Davis’ daily lives. 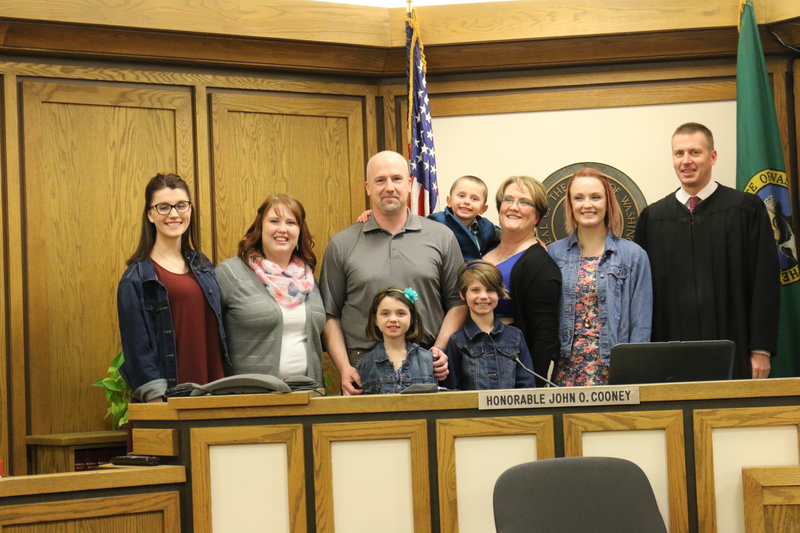 On February 24, 2017, this couple adopted Elizabeth, age 9, Ainsley, age 7 and Jaxson, age 4. This sibling group was placed in the Davis home two years ago in April of 2015, and they are now officially part of the Davis family. Over the last two years there were lots of challenges of visitations with natural parents, and all that goes into adjustments to a new home. With support, counseling, and lots of love and structure, the children are progressing very well and they love their new mom and dad. Tom and Heather are just the right parents for these three children who needed a safe, nurturing home. You can say, “The Davis’s received a triple blessing"! “You can do it - we didn’t think we could, but we did, and we are so glad", Jessica emphatically states. Grant and Jessica came to our agency desiring a birth parent adoption in hopes of receiving an infant and discovered that most of our placements are kids from foster care. A little frightened by the idea and hearing so many people say, “We could never do that!”, they carefully moved forward and became licensed. Six months later, they received a call for placement of seven and a half month old twins. Aubrianna Nicole and Elijah Stephen came to their home with some medical issues and developmental delays. Digestive, sensory and feeding concerns became evident but were significantly improved with the help of physical, occupational and feeding therapies. Part of their progress came from being in a home filled with love, nurturing and laughter. Although still having some medical issues, the twins are doing remarkably well. Being bright children, they are walking, talking and learning many new things. This little boy and girl are happy, contented and love the attention of everyone around them. 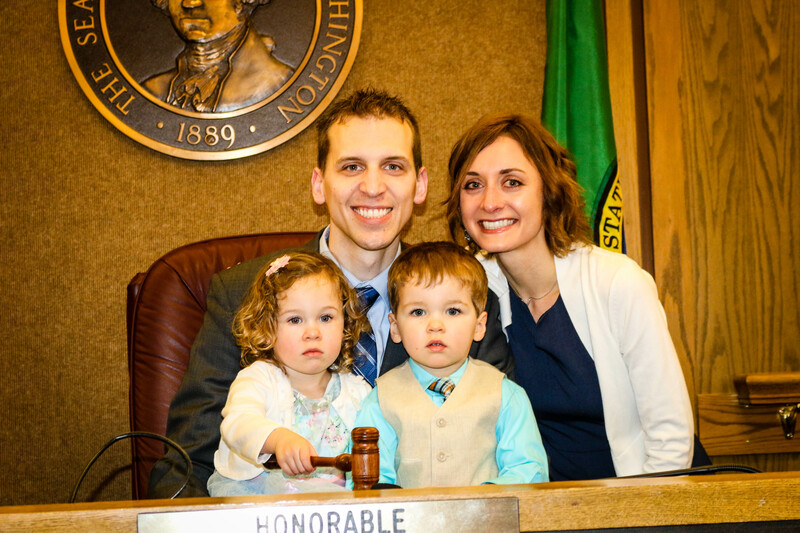 It has been two years since the twins were placed in this home, and on April 6th, with Judge Please presiding, they became Grant & Jessica’s legal children. Grant and Jessica state that it has been a long journey. Some days they were unsure if the twins would ever be a permanent part of their family. Those were hard days and they relied heavily on trusting God for their future. Jessica indicates that she believes it was very important to establish a relationship with the biological parents, which started two weeks after placement. The birth mother told Jessica she would rather have the children with Grant and Jessica than with her own extended family if she did not get them back. Grant and Jessica also had a “great team of people around them” with the social workers, Guardian ad Litem and therapists all contributing to making this placement a success. Yes, it was hard and some days were extremely challenging, but Grant and Jessica are so thankful they made the choice to do foster care. They love their twins dearly and cannot imagine life without them. Jessica laments, “Tell people – ‘YOU CAN DO IT!’”. Getting children from the foster care system is worth it and the lives of children will be forever changed. When you read this story, you will have to agree that only our precious Lord could have arranged these events. A baby born by a dumpster and a missionary doctor have come together to make a beautiful family. Peggy Chilcott came into our office one day asking if we place with single women. She had one document left to complete and send in to begin the process of being licensed to adopt through another agency. She then heard about Antioch, now A Child’s Hope Spokane, and decided to be licensed with us. Peggy had been a missionary to Haiti for several years, making nine trips there, before she ended up in Spokane to help plant a church while she practiced medicine. Her heart’s desire was to be a parent of a child who needed a home. One day, a woman with a baby walked into urgent care, Peggy’s place of employment. While Peggy was treating this baby, she found out he was a foster child who could be adopted. Peggy’s heart leaped. She contacted us and became aware that little Canaan was available through our agency and could be placed in her home. The transition to her from another foster home did not come easy. This child was not your typical foster child; Canaan came with many severe medical issues. Canaan had the kind of medical issues that the typical foster family would have great difficulty handling. Could it be that God had arranged a doctor to be his mother? The beginning of Canaan’s life cannot be described as typical. Born by the side of a dumpster near a hospital is anything but ordinary. A drug addicted mother was standing by the dumpster when a mid-wife just happened to walk out of the hospital and saw her there. She came over to ask the woman if she was all right when, at that moment, the woman gave birth to Canaan. The midwife scooped up the amniotic sac off the ground with the umbilical cord still attached and rushed him into the hospital. Three to four minutes later, the sac was opened to find a much stressed baby born at 26 to 27 weeks gestation, who was then given chest compressions for his heart to start. Little Canaan was flown by helicopter from a city a few hours away to a hospital in Spokane where he began his stay for several months. Many life saving procedures occurred during this time. His little life hung in the balance as he needed to be resuscitated at least seven times. The ethics board of the hospital and the Attorney General of the state of Washington weighed in on the course of his treatment as multiple physicians stated that “enough was enough” and had concerns and wondered if the extreme life sustaining measures were appropriate to continue. Did the grace of God keep him alive? We have no doubt that God’s hand was in every detail of this little boy’s life! Canaan went from four and a half months at the hospital to a foster home and many trips back to the hospital for tests and treatment. In March, 2016, Canaan was taken from the hospital to be placed in Peggy’s home where amazing progress in his growth and development rapidly began to occur. Many medical professionals have been involved with his life, many doctor’s and clinic visits have occurred and repeatedly it has been said, that his progress is incredible. Canaan has won the hearts of everyone who comes in contact with him. At 21 months he has learned to sit up, crawl, walk and is now talking, with his first word being “Bible.” Peggy is an amazing mother to Canaan, and Canaan is deeply bonded to Peggy. God brought this child and this mother together. Only He could have done this! "Adoption Works" - those were the words on tee shirts worn by everyone who attended the adoption of a beautiful baby girl recently placed in the home of Colin and Rena. The birthparents picked this family from books of waiting couples wanting to adopt an infant. 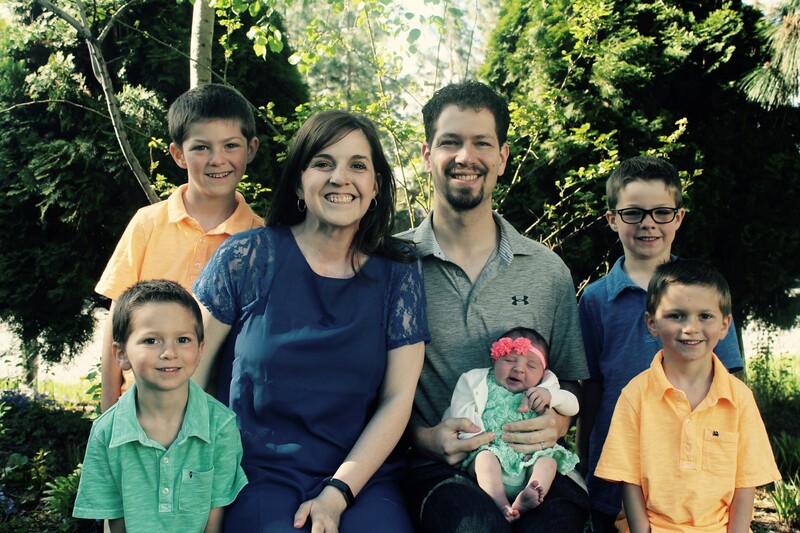 It was a wonderful answer to prayer as Rena and Colin's desire was to complete their family of four boys with a little girl. At the adoption hearing, this couple’s pastor prayed and praised Jesus for being the ultimate adoption agency. What a blessing it is for us at A Child’s Hope Spokane to see the Lord work out all of the details of each and every adoption. Invite your friends, family, and co-workers to join us for an evening of beautiful music with JJ Heller and to hear about the ministry of A Child's Hope Spokane. 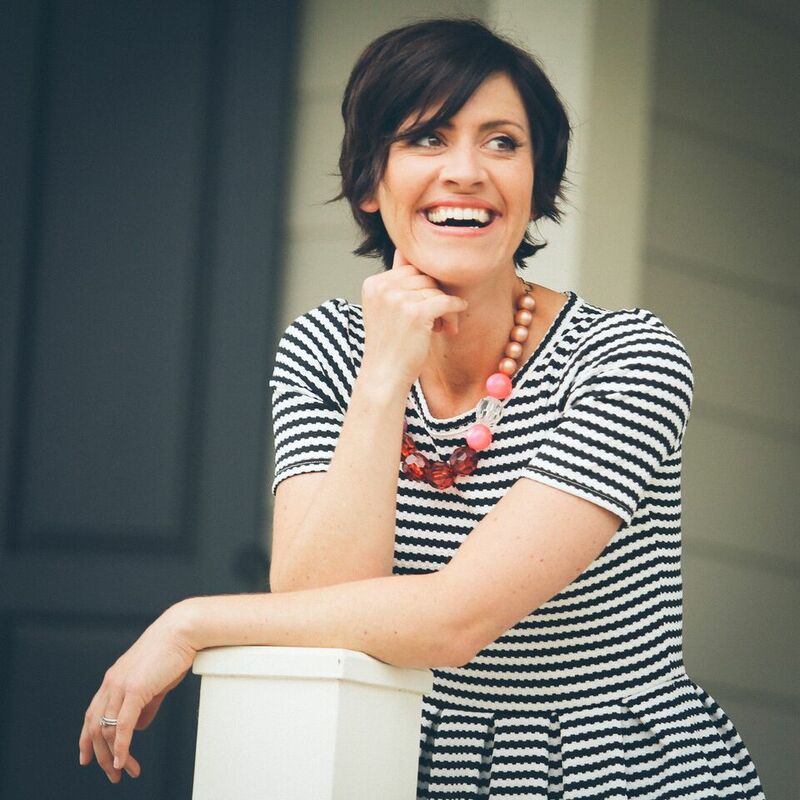 JJ Heller is a singer/songwriter with a heart to remind her audiences that they are deeply loved and fully known by the Creator of the universe. Her soothing voice and inspiring melodies blend with poignant lyrics to stir the hearts of listeners of all generations. Heller’s concerts are charming, personal and a memorable experience you won’t want to miss. All tickets are General Admission. Contact Melody about sponsorship opportunities! Tickets: $15 per person; $10 per person for orders of 5 or more. $20 per person at the door. Email Melody for more information. Check out our new website and stay informed about what's happening at ACHS. It is with a deep sense of gratitude mixed with great emotion that we bid farewell to Linda Hanke as she leaves A Child’s Hope Spokane to pursue what God has in store for her at the Global School of Supernatural Ministry in Mechanicsburg, PA. Linda’s passion for the ministry of adoption is extremely evident as well as her love for the Lord. She has poured her life into her work at A Child’s Hope and we will greatly miss her wisdom, passion, friendship, and entertaining presence in our office. At a Child’s Hope Spokane, our dream is that every child in our city will have a loving family. Your generosity allows us to come alongside families and make this dream come true. We believe that finances should not be a barrier to a family adopting a child. Since we do not charge a fee for our services, nor accept any government funding, we rely on the generous giving of stewards like you. Your donations enable us to recruit, educate, evaluate, prepare and support adoptive families. Thank you for your help in making family a reality for every child in Spokane.